TrailerAddict has posted three segments of behind-the-scenes B-Roll footage from Predators. (Part 1, Part 2, Part 3). There’s over 15 minutes of footage here showing various scenes being shot. Beware of spoilers because I think the last scene of the movie is in there. In related news, there was a press conference in the US with director Nimrod Antal and Robert Rodriguez. Collider managed to transcribe it all. There’s a similar report about it over on Shocktilyoudrop. There’s some interesting little tidbits in there. There’s quite a long audio interview with music composer John Debney on FilmMusicMag. 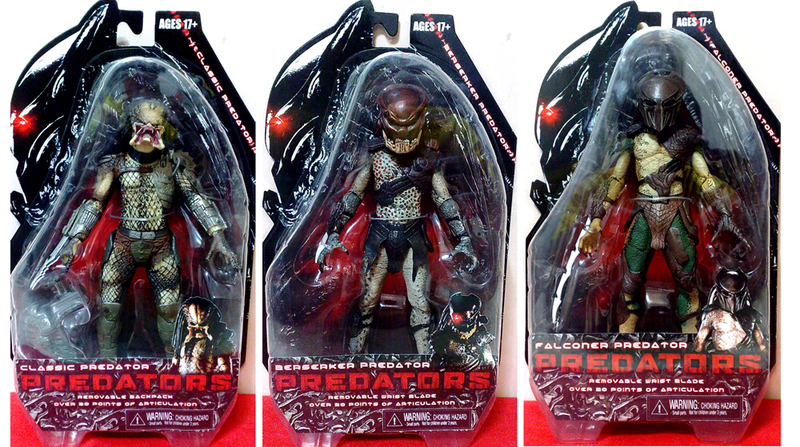 Lastly, for Australian fans, Predators has been rated MA15+ over there. Thanks to ace3g, Darkoo and SoulWonder for the news. @panzytuio: I think if there was any questionable content it would have just been rated R18+. It's the classification system for games that is broken, the lack of an R equivalent either shoehorning adult games into the MA15+ category or banning/ censoring them. Hey, a sample of the Predators score has been put on Debney's website, and on Youtube if you guys want to check it out. Going to go see this with my girlfriend. As an American living in Aussie I'd much rather bee seeing this in the states but then I wouldn't. I just get paranoid that they censor too much stuff in Australia cuz the gov't here is gay. A new sample of the Predators score has been posted on John Debney's web site. Ok after watching the rest of them I have to also say the actors are grade A quality. Part 2 was sweet near the beginning thats all i will say! I wish I had a minigun.